What are high-efficiency gas fireplaces? High-efficiency gas fireplaces offer a safe, energy-efficient and environmentally friendly alternative to conventional wood fireplaces. Well-designed and energy-efficient gas fireplaces can be installed as a completely new fireplace or as a conversion of an existing wood fireplace. 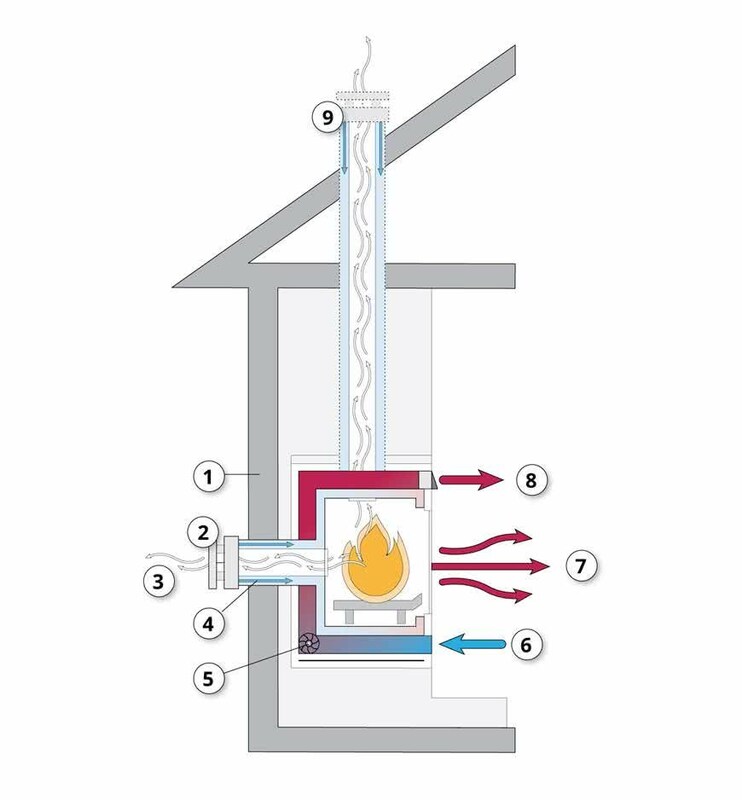 A high-efficiency gas fireplace burns natural gas or propane to generate heat by means of radiation and convection that is distributed by a circulating fan(s). Modern gas fireplaces protect indoor air quality by using sealed combustion to isolate the burner and flue from the indoor air and by circulating the air in your home through an air filter.